It's time for another Year of Color link up! This months color is blue! Blue is one of my favorite colors to wear. Some of my most favorite dresses that I've ever worn were blue. September is my birthday month, and my birth stone, the Sapphire, has always been one of my favorite stones. 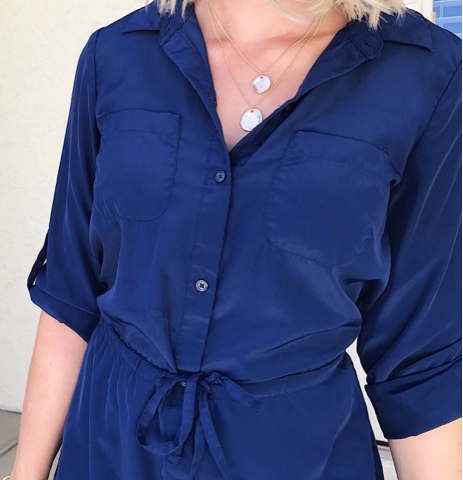 For today's blue look, I picked out this Old Navy Sapphire blue shirt dress. I love the style of this dress. 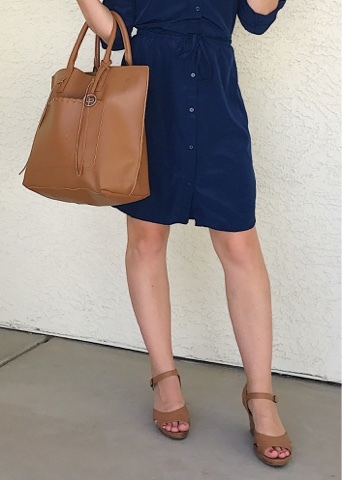 I used to wear it all the time at my old job with a business casual dress code, and now I can still style it down with a denim jacket and some flats and wear it to my casual dress code at my current job. It's a great teacher dress to wear in the classroom! It's also perfect for church. 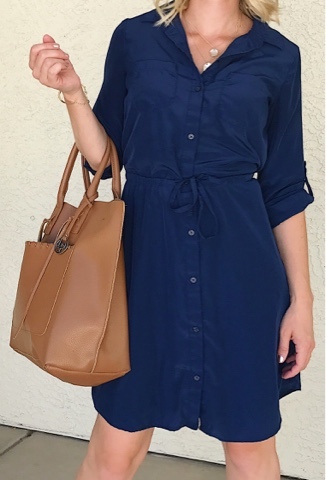 Another plus about this style of dress is that it's great for breastfeeding moms, especially if you're pumping at work. *This post contains affiliate links, which means by clicking on and/or making a purchase through a link, I will receive a small commission with no extra cost to you. Thank you for your support! As always don't forget to link up with your blue posts. You can share anything blue...recipes, outfits, crafts... anything! Next month's color is black! See you back here on October 20th! That is such a cute dress! Love the versatility of it! Thank you! I love blue too! It's always a good color to wear. Lol, I'm the same way with stripes. I do wear blue a lot. It's just a nice color, especially navy blue!